One of the great advantages of food trucks is that owners are on the truck daily. This brings a tight bond between the owner and their hungry patrons. Since many of us only get that small time between ordering and grabbing our food, I wanted to help bring us together. That’s when I got the idea, Behind The Wheel. 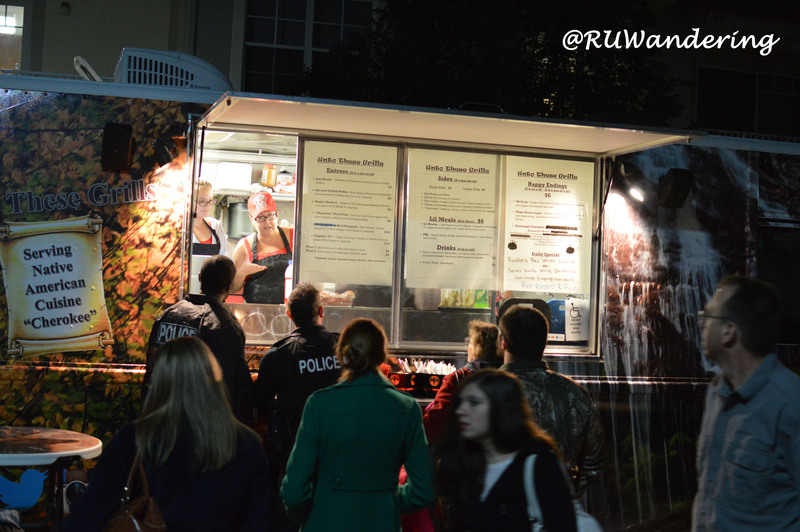 Gets me back to telling the story and further enjoying – being around food trucks. For this installment, I highlight Unto These Grills. This truck highlights on Cherokee Cuisine and serves the South Florida area. After tasting the food, I wanted to discover more on the story behind the wheel. Last December, I wandered down to South Florida to embark on a holiday cruise. Before I set sail for the Caribbean, I had to wander the growing and popular South Florida food truck market. The area has been popular with food trucks that in the movie Chef, the lead characters started their mobile business in South Beach. Before I traveled to South Florida, I found The Food Truck Invasion’s Facebook Page and discovered their monthly event in Jupiter’s Abacoa development. 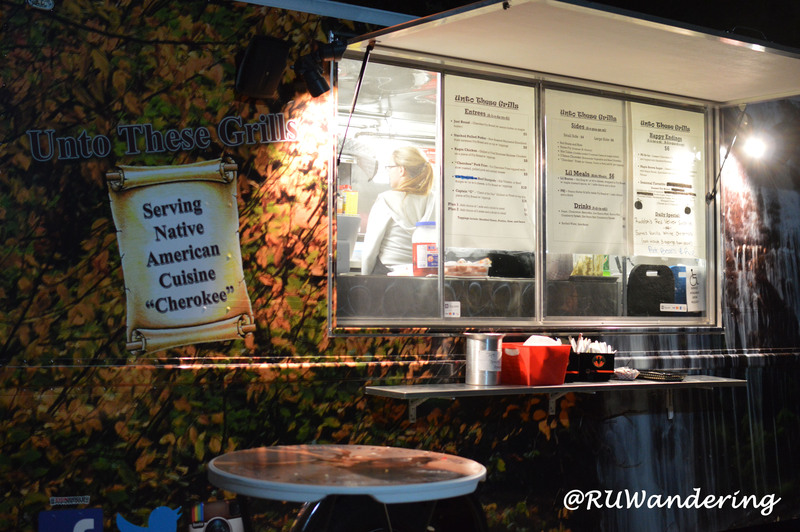 While walking up and down Food Truck Invasion’s Abacoa festival, a cuisine immediately caught my eye. While I don’t claim to hit every truck and every market, this find was evidence that I still need to wander. The find was a Cherokee cuisine truck. I also thought it was rare to find Cherokee cuisine, because my Native American knowledge thought I was in a Seminole dominant area. My assumption was I would more likely see a Cherokee truck in North Carolina before seeing one in now in South Florida. The truck is beautifully wrapped with views I would expect to see in Western North Carolina. The two main features are the red, orange, and yellow leaves found during fall foliage and pictures of calming waterfalls that your eyes visualize the low roars. Even with faint light in the evening, the exterior has a wow factor. After admiring the food truck’s exterior, I turn to the menu. The first thing I notice on the menu are the menu headings are in both English and Cherokee. 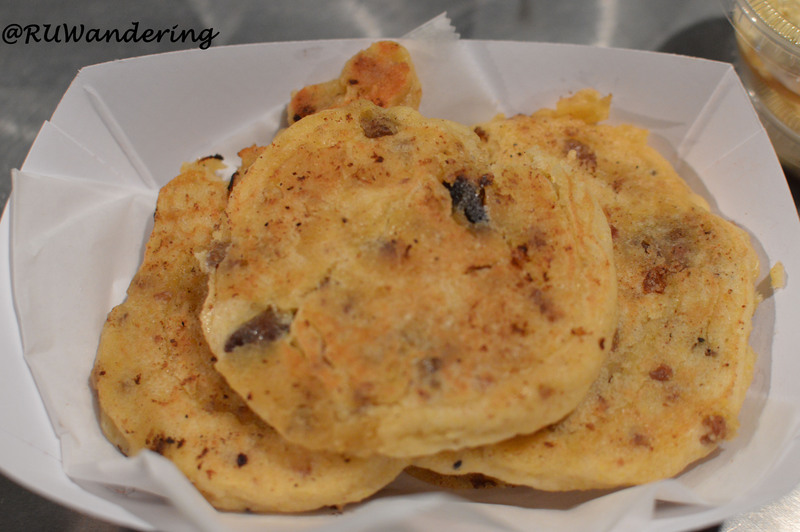 The A-li-s-da-yu-di (Entrees) contains Cherokee Fry Bread only or the bread stacked with protein like Pork, Chicken, Venison, and Fish. The A-li-s-da-yu-di can be Plus 1 or Plus 2 which includes 1 or 2 A-su-gua-ge-ni (Sides) and an A-di-ta-sdi (Drink). Pork is my favorite protein and I am curious to discover Fry Bread. I order up the Stacked Pulled Porker. The Stacked Pulled Porker is stacked with flavors. 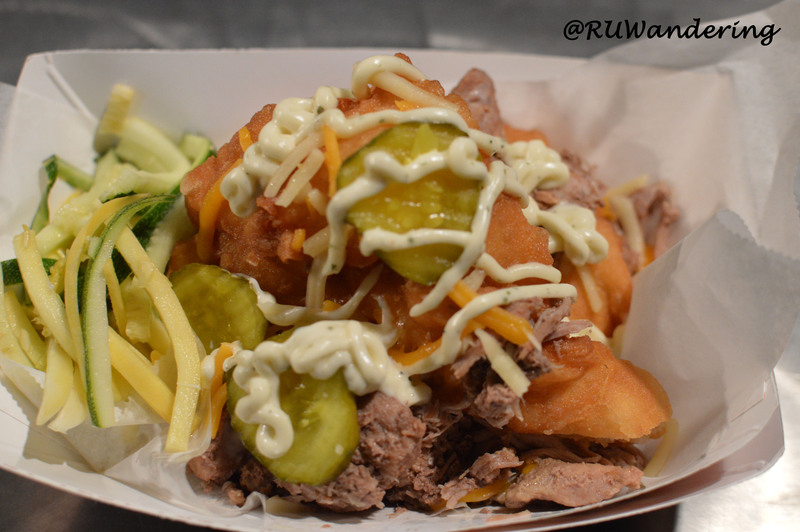 Vegetables, Pickles, Pork, all on top of Cherokee Fry Bread drizzled with sauce. The best way to describe what Fry Bread is using the experience of a puffy tacos’ tortilla. It is very airy, with a soft crunchy texture. This recipe was from T. Maria Nappi-Sweat’s grandmother, one of the owners. The recipe was passed down since it was handwritten back in 1898. On top of this bread cloud, pork that is tender, juicy, and perfectly shredded. Together with shredded cheese, slaw, pickles, and a mayonnaise-like sauce (might be the pickles, but I tasted dill in the sauce), I am fan of the Fry Bread. The next item I was curious to discover was the Hoe Cakes. Before I tasted the hoe cakes, I sat them aside as I prepared the Stacked Pulled Porker for a few photos. After a few photos, I turned to the hoe cakes and noticed that already had a “thumbs up” from my wife. The symbol of the thumbs up was a few bite marks and the guilty look given when my food has been touched. That was enough for me to realize I was about to taste something good. My instincts weren’t wrong. These grilled, cornbread cakes are delicious by themselves. However, don’t be afraid to add a layer of the sweet maple butter spread. Hoe Cakes taste similar to cornbread. Make sure to spread some of the Unto These Grills’ maple butter on them. The food is amazing, but there seemed to be something more prepared here. Curious I reached out to the food truck owners. Here is more I found out more from T. Maria Nappai-Sweat. How did the idea of the food truck come about? The truck is a joint project with her and George A. Herrschaft. One interesting aspect is the cultural stew of Cherokee, Italian, Puerto Rican, and German heritages between two owners. Maria’s Italian side of the family has a long history in the restaurant, hotel, and other hospitality businesses. She alone has over 40 years experience as a Chef and Food Service Manager. It was through this experience she kept both Cherokee and Italian family recipes. She took notes down of these recipes and random thoughts. After 40 years, she then retired to spend more time with her family. It wasn’t until after her Cherokee family lineage ended that she realized her children would start to lose their family’s heritage. She encouraged them to learn more by exposing them more by stories and getting involved. Her children took much appreciation, which is expressed in their interest in becoming competitive Native American dancers. The family soon returned to their Cherokee roots by changing their family name to Sweat. It had a been a long time for the family, as they had not returned since Maria’s great grandfather left. Then Maria’s retirement was too idle for her. With those her career’s notes, her passion for food, her heritage, and her family, she came up with the food truck idea with her partner. Together, her partner came up with the truck’s design and fabrication, while her culinary knowledge built the remaining components. The idea was an additional opportunity to immerse her children and grand children to their family’s heritage. What else in the future? Maria has more ideas on the drawing board. She would like to extend additional trucks to her children and grandchildren. She wants to give them as much as she can, while keep her family’s heritage. There is more to Unto These Grills than great food. When you discover this is more than a cup of four, a teaspoon of butter, or food ingredients. The idea the food has meaning and has a spirit fills not only your stomach, but your soul. While a return for seconds is difficult, my spirit’s hunger is fulfilled with seconds from my experience’s notes.